Using small ways to save is similar to the bundle of sticks story – remember the one that starts with the man easily breaking a single stick. Then he snaps two, even three sticks together. But when given an entire bundle of sticks, he finds it is virtually unbendable, let alone breakable. It’s much the same with small savings techniques. Many, seemingly inconsequential savings methods bundled together can significantly grow your nest egg to immense proportions. It might seem odd to begin an article on ways to save with a topic like credit cards. With interest rates often ranging anywhere from 10-20% percent (unless you get a zero balance transfer credit card), credit cards can be the arch nemesis to a savings plan, but only if you let them. First, you must ensure you pay off your balance each month to avoid those hyper-inflated interest rates. Second, get a credit card that offers cash back, store discounts, or other rewards and incentives, so that when you do spend, you also save. If you are carrying a credit card debt then it will definitely be beneficial for you to transfer your credit card balance between cards, which will allow you to avoid paying the sizeable interest rate on a balance. Making such a move with your debt, say from a card with a balance of $1,000 and a 15% interest rate, to a card with an significantly lower or introductory 0% rate, can save you hundreds of dollars, if not more depending on the time it takes to pay off your balance. What if you saw a dollar bill taped inside the Sunday newspaper? Would you take it? Of course you would. Yet, there is a missing sense of urgency among many of us when it comes to coupons, which are essentially the same as cash. Certainly not all coupons are money savers, especially if they are used on particular name brand products that are more expensive than their generic competitors, but if you comparison shop and know a deal when you see one, coupons can turn small savings into big cash. Hey, if it worked when you were seven, it might just work when you’re thirty-seven. Hauling all that change to the bank to be turned in is often a big enough deterrent to make most people leave the jar where it is. Moreover, while all that change probably doesn’t look like much, you might be surprised how much cash you get when you eventually turn it in. Putting money into government issued savings bonds can be a great way to save. These investment vehicles offer a low initial investment ($25 is the minimum E-series buy in), a secure way to save, and guaranteed (albeit sometimes low) returns. Taxes on U.S. government savings bond interest can also be deferred until the time the bond is cashed, allowing your investment to grow for up to 30 years tax-free, and if used for educational purposes might be tax-free altogether. Direct deposit can be a small saver’s best friend. Diverting a portion of your paycheck, even if it’s only $20 each pay period, to a separate account, can add up to big savings over the years. That $20 deposit every two weeks is $520 a year, $5,200 after ten years, and that’s before you add any interest earned on the account. Having certain items removed from your paycheck before you are paid is a small way to earn some big savings. Using deductions for an employer sponsored health plan, retirement account, or savings plan, can be a wonderful way to save without really noticing the loss of money. Not only are you stashing cash, but some of these deductions are pre-tax, saving you even more, especially over the long run. There is a big difference between evading taxes and just avoiding them for a while. As we’ve already seen, everything from savings bond interest to certain payroll-deducted items can be tax deferred. Avoiding taxes will allow a larger portion of your money to grow, increasing your savings over time, and delaying the cost of taxes for years – sometimes indefinitely. When buying products or considering retirement, it is also important to consider sales and property tax rates since they can range widely depending on cities, counties, states, or regions. Once you’ve managed to start saving, let your stash work for you. Compound interest, dividends, and similar returns on investments can grow you’re money without you having to lift a finger. While sometimes the returns are small, over time, they can grow exponentially, and who can deny that free money, no matter how little, is nice to get. Few people realize just how much money they have in their home, either in the form of books, CDs, DVDs, antiques, or other household items. Strip mall stores, resale shops, and a growing number of internet sites offer to purchase specific items such as textbooks, CDs, DVDs, and more. These businesses have made selling personal items a lucrative source of income for many. Reselling such belongings can be a great way to turn your unused items into cash. Kris is a personal finance writer who blogs about money management techniques for CreditCardCompare.com.au, an Australian comparison website. Follow @thecreditletter on Twitter for more. 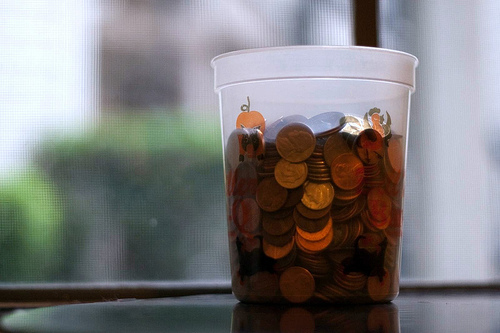 Saving spare change is a great way to save a little extra money. My wife and I save our spare change throughout the year and then use it for dinners on our vacations. Another idea: we’ve found a local credit union that pays us 6% on our balance up to $25,000. All we have to do is make one direct deposit, use our debit card 10 times each month, and receive e-statements instead of paper. Coupons save but saving spare change is great. Just keep putting it away and by the end of the year you will have about $100 extra and you will be real happy with it. Now I need those quarters for laundry so don’t quite save the same way with spare change as I used to. Great post! This is excellent information especially for our society right now. 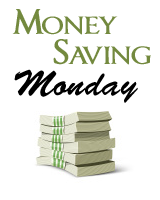 There are so many easy and quick ways to save money, people need to know about them. Although I do not have much money, but it is a good way. @EarnSaveGive: Keep an eagle eye on that rate, it will probably drop soon. We’ve been through three such “rewards checking” accounts. They start with a great rate for a few months to get people to open the accounts, then they drop it down bit by bit every month until its not worth it any more. Great ideas! If your company offers a Flexible Spending Account you should utilize that to save a ton on health care expenses including vision, dental, prescriptions, OTC meds, and regular co-pays. A good resource explaining how Flexible Spending Accounts work is http://www.24hourflex.com under the “Learning Center” section. One man’s trash is another man’s treasure I always say. You can make a nice bit of extra cash by selling things you no longer need or use. My favorite is #6 (savings account). About a year ago, we set up a automatic savings account with our bank that transfers a dollar every time we make a transaction. Honestly, I didn’t expect too much from it. I think people underestimate the power of coupons and how much they can save you. They seem like just a few cents but when you add them up and use them every time you shop, you really can save big. The best way to use them is on items that are already on sale. I can’t tell you the number of items I’ve gotten for free or close to free because I used a coupon on a sale item. Great tips! I’ve been using the “save your coins” mindset for years, and it IS nice to cash them in every once in a while for a $50 or $100 bonus every so often. I think the biggest thing most people need to remember however is that it takes effort and won’t come overnight. The sooner you can realize that, the sooner you can be on your way to financial independence. Although I did enjoy your article, I am somewhat confused by your inclusion of number one. Credit cards do not help one save through rewards. Whipping out your credit card increases one’s willingness to pay for marketable items by up to 100%, and increases our spending. Earning 4% cash back on purchases is worthless if you spend 15% more on average by using your credit card in the first place. Furthermore, the current credit card market has skyrocketing interest rates and increased rewards regulations (ie. if one exceeds their credit limit in a given monthly cycle this can negate any rewards earned in that period). It seems that credit cards are becoming increasingly expensive and less rewarding. It’s time to start considering more responsible options that will actually help one save, such as high yield checking accounts or rewards debit card programs. I always try to put as many purchased on my AmEx that gets 1% to 3% cash back as possible. Interesting expose and info here, having multiple credit cards can furthermore give you a quantity of negotiating power when it comes to annual fees. As soon as these fees are charged, you can frequently have them waived by telling the credit card corporation that you would rather close the checking account than settle the fee. 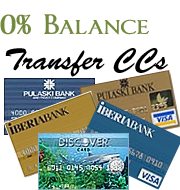 Following all, if you have other credit cards obtainable, then you don’t really have to theirs. Typically, they will waive the charge in order to keep the account active. I just lost my job and had to find some ways of saving money. So I started looking at things around the house that actually cost me extra money, things I didnt need and then had a garage sell! I can say I feel a little better having less ‘junk’ around all the while adding a little cash to my pockets.